This Rolex sister brand propelled into the spotlight, changing its marketing strategy and initiating a brand new marketing campaign aimed to winning over young dynamic customers who are keen to bold sporty looks and Rolex high-quality standards. 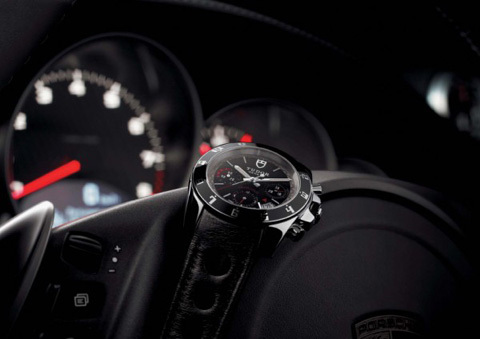 Tudor’s marketing direction was to seek partnership with the prestigious automotive manufacturer such as Porsche. With Porsche they introduced the new GranTour Watch Line and the watchmaker hopes to conquer the hearts of young automotive enthusiasts. This GranTour collection targets the same consumer market as Porsche Design watches, however Tudor’s management team is optimistic about its future success. Tudor GranTour for Porsche Motorsport Watch Line consist of two luxurious timepieces, the Grantour Date Watch and the Grantour Chronograph Watch. Both the GranTour Date and Chronograph models are sporty watches which emphasize design rather than functionality. The Tudor watches features black bezel that indicates the hour numerals, therefore it cannot be turned. 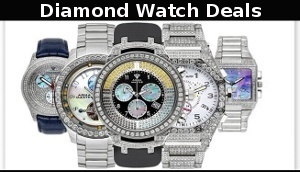 These timepieces were designed to fuse sporty fresh design touches with classy refinement and elegance, and to be an attractive accessory to any casual outfit, it is sure to add a air of uniqueness and sophistication to a gentleman’s wrist and outfit. The Tudor GranTour Date and Chronograph watches has finely polished stainless steel cases, measuring 41 mm in diameter, they are fitted with a PVD-coated black bezel, which displays the Arabic numeral hour indicators, in addition it enhances the sporty look of the timepieces, the black dials features bright red accents and stainless steel hour hands and hour indices. Inside the stylish timepieces are high-precision self-winding mechanical movement parts and the Tudors are water resistant and water tight for up to 150 meters. The GranTour Date Watch features a simpler dial design with only the brand’s logo which is traditionally placed at 12 o’clock position, and a large date aperture located at 3 o’clock position. The GranTour Chronograph differs in the way that it features 3 chronograph counters: the total hour indicator positioned at 6 o’clock, minutes counter located at 3 o’clock, and small hand seconds coutner placed at the 9 o’clock position. As well the Chronograph timepiece has a large date aperture located between 4 and 5 o’clock positions.